Woodbridge, VA---Single game tickets for the 2019 Potomac Nationals' season are set to go on sale at 10:00am on Thursday, March 21st. Tickets will be available for purchase at the Potomac Nationals' Extreme Custom Collision Ticket Office from 10:00am until 5:00pm. Single game tickets will also be available for purchase online starting at 10:00am. 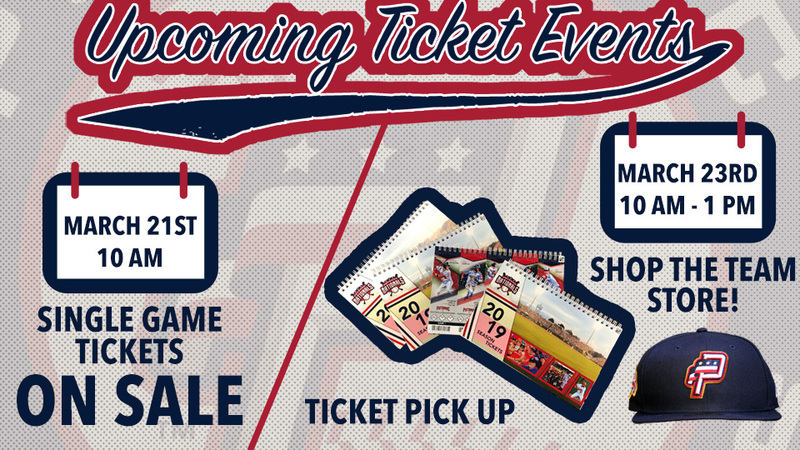 On Saturday, March 23rd, the Potomac Nationals Ticket Office and National Mall will be open for fans to either pick up or purchase tickets for the 2019 season. This will be the first opportunity for season ticket holders to pick up their tickets. Fans will also be able to purchase the latest in P-Nats merchandise during this one-day offseason event at the National Mall. The Ticket Office and National Mall will be open from 10:00am to 1:00pm that Saturday. For more information on 2019 Potomac Nationals single game tickets or ticket plans, please contact Director of Season Ticket and Group Ticket Sales, Alec Manriquez, by phone at 703-590-2311, ext. 221, or via e-mail at amanriquez@potomacnationals.com. Fans with questions may also contact Potomac Nationals' Ticket Operations Manager, Matt LeBlanc, by phone at 703-590-2311, ext. 225, or via e-mail at mleblanc@potomacnationals.com. The 2019 Potomac Nationals' season gets underway on April 4th at Northwest Federal Field at Pfitzner Stadium against the Fayetteville Woodpeckers (Houston Astros). First pitch is scheduled for 7:05pm.